With our fast, experienced, accurate and efficient man-power, we are ever-ready to meet any challenges in data solution services. We are into Data Entry, Data Capture, Form Processing and Data Management services, have gained the credibility that clients look for when outsourcing their backend activities while focusing on their core business operations. With our fast, experienced, accurate and efficient man-power, we are ever-ready to meet any challenges in data solution services. We are into Data Entry,Data Capture, Form Processing and Data Management services, have gained the credibility that clients look for when outsourcing their backend activities while focusing on their core business operations. Nasstechnologies comprises of a strong team of professionals having several years of experience in networking, developing and providing high value software solutions and consultancy to clients worldwide.Established in 2004, Nass Technologies has a highly process oriented approach towards support and development with strong project management skills. Nasstechnologies provides Best-of-the-Breed solutions based on the principles of Six Sigma, PMI, ITSM and ISO 27001:2005. Software Quality Assurance Nass Technologies Systems has a well defined systematic approach to the evaluation of quality and adherence to standards, procedures and processes. 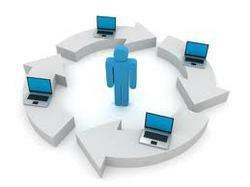 The established standards and procedures are followed throughout the software development life-cycle. Compliance with laid down standards and procedures is evaluated through process monitoring, product evaluation and audits which helps in configuration management. All processes are well documented in pre-defined formats. Stringent standards for design and code are maintained throughout the development process. In Netwoking feild Our domain expertise, technical excellence and unique culture help businesses thrive and be future-ready. We enable our customers achieve competitive advantage through flexible and global delivery models, agile methodologies and expert frameworks. We base our solutions on open source model. We believe that closed, proprietary solutions only slow you down and cost you more money. Instead, we help you build on the networking and infrastructure investments you’ve already made. We help you optimize today’s technologies and stay flexible enough to innovate in the future..
Nass Technologies Networks ability to devise solutions is equally matched by our ability to execute. Our differentiation stems from a unique balance of human perspective with deep strategic thinking. Our values - Collaborative Spirit, Unrelenting Dedication and Expert Thinking help us see possibilities where others see a full stop. Training and Placement program be different!! is what we believe at Nass Technologies. Our mission and vision is extremely different than other training scenarios. We feel that the current requirement to the IT world is the professional attitude towards working and for this we are thriving.Apart from training we also provide placement services to our students. It is the biggest advantage for IT aspirants as well as for Software companies, well trained in-hand knowledge fresher's and experienced professionals multiple platform job seekers can get under one roof.